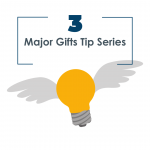 Here’s the next in my series of tips to help you nail major gifts for your organization this year. Today, we can laugh at some of the bigger bloopers that we see in major gift fundraising. We are human, so we do sometimes make mistakes with our donors – that often blow up in our face. The problem is – shooting from the hip doesn’t work! Our instincts on what to do can be pretty off-base. That’s why I created our Major Gift Coaching program – to guide you and your team so you don’t make these errors – and to help you forge close and productive relationships with your wealthiest donors. Let me know if you’d like my help this year! Mistake #1: Talking too much. One of the best ways to turn your major donor off is to talk too much. This is really the kiss of death for a major gift fundraiser. Why? Because you are likely to be boring! And if you are boring, you are totally turning your donor off. Put yourself in your donor’s shoes. Why would she want to see you again if you drone on and on? Talking too much is NOT donor-centered. This means you are all about YOUR agenda, not the donor’s. Don’t make your donor feel stuck with you. Don’t make her think you are boring. Do be always about her and what is on HER mind. Not yours. Mistake #2: Not allowing enough face time with donors. 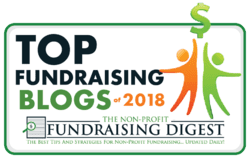 You know it and I know it – you can’t raise money in your office. But there you are, struggling to get out and meet with your donors. I know, it’s a huge issue for everyone. The problem is that your face-to-face donor visits are probably THE missing ingredient when it comes to your success with your major donors. Let’s face it…How else can you forge a deep relationship and learn about the donor’s interests? How can you possibly become friendly enough to be able to discuss a gift? 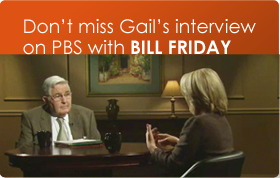 Don’t let meetings and pressing issues keep you from making those important donor visas. Do create a hard-fast plan to get out of the office. Mistake #3: You make it all about the money and not about the donor. Ouch, what a terrible thing. Your donor is feeling like all you want is her money. It feels just gross to her. Fundraisers make this mistake, especially when they are inexperienced. Especially when they dive right into a solicitation too quickly. If your donor feels like you are pushy and aggressive, she will cut you right out of her life. Don’t make it about YOUR agenda, and your timetable. Don’t make your donor feel like you are rushing or pressuring her. Do ask her for something besides money. Ask for her help, her advice or her best thinking. Mistake #4. 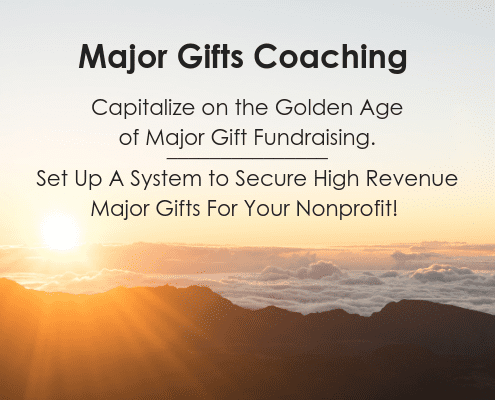 No system for managing your major gift program. 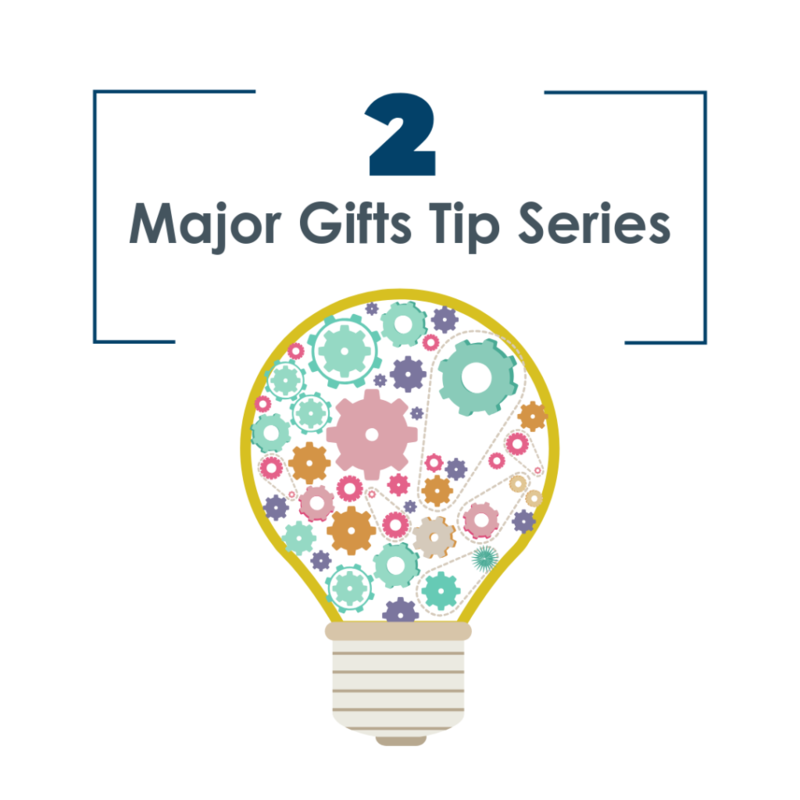 It’s easy to feel unorganized when it comes to setting up and managing major gift efforts. To be successful at major gift fundraising you simply MUST have two systems. This system maintains your master list of your wonderful prospects. You include a rating system to help you evaluate and manage your prospects. Your prospect list helps you set priorities for your time and attention and, most importantly, tells you how much money is potentially in play. This system is a set, pre-planned monthly meeting to review your Major Gift Prospect List. Mistake #5. Lack of training. Is lack of training holding you back from raising the money you need? Do you not know what to do or say? Everyone needs training and coaching to help you learn how to do the most sophisticated kind of fundraising – major gifts. How to find new prospects. How to create customized cultivation plans for them. How to know how much to ask for. How to warm them up for a gift. How to ask and not get turned down. You will become much more confident and easy in your relationships. 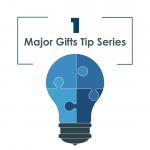 You close plenty of major gifts from donors who love you and are happy to invest in your cause. It’s so important that you and your team get trained on major gift fundraising because there’s so much money at stake for your mission! If you’d like my help, consider joining our Major Gift Coaching group for 2019. Just click the button at the bottom of this page and we’ll hop on the phone to discuss, and see if it’s a good fit. Registration closes Friday Feb. 15th.